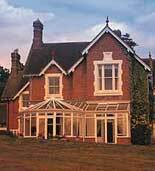 Having spent over 25 years in the construction of be-spoke conservatories, with over 4000 units built. Our combined expertise ensures that any requirement can be sufficiently realised. 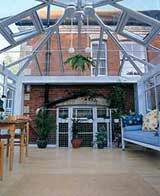 Suited for all designs and budgets from a modest lean-to for Mrs Williams in Royal Tunbridge Wells, right up to a four level story conservatory for the Richmond Inn, Walton-on-Thames. 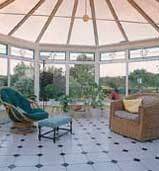 Our service is totally unique to that of other conservatory construction companies. Unlike them, All Seasons Group not only offer you the opportunity to create the glass house of your dreams but prides itself in its comprehensive after care program that keeps your investment in its perfect condition. At your request a representative can visit to discuss your personal requirements and advise on site of the possibilities for your build. We welcome instruction direct from the architect, alternatively we can provide our own designs and recommendations once the site has been properly assessed. Work examples are available on request.